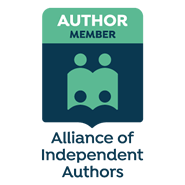 I’m excited to publish this interview with Dan Holloway, author, philosopher and Alliance of Independent Authors member. In fact, I’m excited for three reasons. First of all, as a relatively new ALLi member, I couldn’t have anticipated a warmer welcome than the one I received from Dan and several other members. Dan has been an advocate over the past few days of a survey I launched profiling writers of literary fiction on their authorial works and the great themes that pervade their stories. To repeat, I’m a new member. I have done nothing to earn capital or goodwill from anyone in the ALLi community. And yet…and yet, he is helping out.